“Lady Midnight” originally appeared as part of a 1969 album “Songs from A Room” and reappears on Leonard’s “Greatest Hits” album. 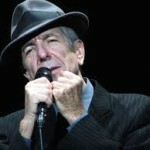 The Best of Leonard Cohen is a greatest hits album, released in 1975. In some territories, including Europe, it was released under the title “Greatest Hits”. This alternative title was used for the original vinyl release and for CD reissues from the 1980s onwards. In July 2009, this compilation was re-released in England under the title Greatest Hits with updated artwork and a revised track listing. Four tracks from the original 1975 Version (“Lady Midnight“, “The Partisan”, “Last Year’s Man” & “Take This Longing”) were removed and nine tracks released after 1975 (“Everybody Knows”, “Waiting For The Miracle”, “A Thousand Kisses Deep”, “The Future”, “Closing Time”, “Dance Me To The End Of Love”, “First We Take Manhattan”, “I’m Your Man” and “Hallelujah”) were added. The Lady Midnight lyrics contain the signature soul-searching, a relationship in crisis, yet ending in a note of triumph….”you’ve won me, you’ve won me , my Lord”. However, in this case, there is a more sublime meaning behind the words. The woman he sought in the song represents the creative spirit. He was ‘looking for someone with lines in her face’; representing wisdom, experience and authenticity. He seeks her to ‘hold’ and ‘unfold’ him, he desperately wants to experience creative inspiration, but she ‘scorns’ him and tells him he’s ‘dead’ (washed up creatively). Like many artists before, he tries all night to coax or push the spirit into being, and realizes eventually that inspiration cannot be forced, or faked; win or lose, it will only emerge after sincere soul-searching. (and maybe by just sitting still, not trying so hard). Further, his anguish is what the ability to create art springs from: ‘it is this that the darkness is for’. He fears that his creative life is withered (‘I fear you grow old…’ etc.). She tells him to stop moaning – it won’t get him anywhere … and eventually he emerges from the dark night of despair into a ‘sweet’ morning of joy, and realizes that through ‘bitter searching of the heart’ he has recovered his creative side. Leonard’s deep veneration of the creative spirit is indicated by bestowing upon her the noble title ‘Lady’. Leonard’s deep appreciation of the female ‘mystery’ is evident in both his work and his love life over the years. Considering the special relationship he appears to enjoy with the women he performs with, Perla and Julie, Jennifer Warnes, Sharon, and now the Webbs. It seems natural that he would view his artistic inspiration as female. The man begs his former lover to hold him, needing the attention she has given him in the past. The woman then tells the kneeling man exactly how he must treat her if he desires a relationship. She sets the terms of their interaction, saying not to “use her” or “refuse her.” She is furthermore referred to in the song by the moniker “Lady Midnight,” suggesting that the he refers to her only by this honorific to show his respect and subservience. In a recording of “Lady Midnight” from 1976, instead of : “where I kneeled on her floor”, Leonard sings, “where I begged, like a dog, on her floor” . . . and instead of “but she was past all concern”, he sings, “but she was past all control”. . .
Further evidence, perhaps, of Drew Cordes’ very interesting theory.